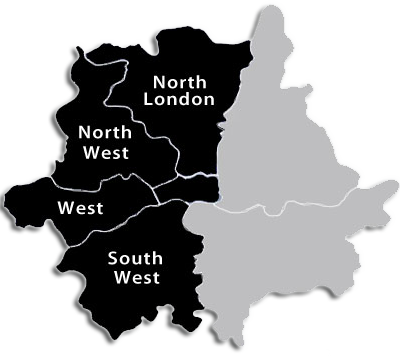 We mainly cover South West London, West London, Central and North London. The main area's we cover are Battersea, Clapham, Kilburn, Waterloo, Balham, Kew, Barns, Pimlico, Twickenham, Richmond, Kingston, Ealing, Acton, Chiswick, Sheppards Bush, Kensington, West End, Islington, Kings Cross, Marlybone, Bayswater, Musewell Hill, Criklewood, Hammersmith, Chelsea, Fulham, Putney, Wandsworth, Nottinghill, Qweensway, Ladbrook Grove, Paddington, Camdon, The City, Westminster, Wimbledon, Battersea, Earls Court, Knightsbridge. We also cover both Sussex and Surrey too.